The Practice’s first London hotel received planning consent at committee in LB Tower Hamlets. 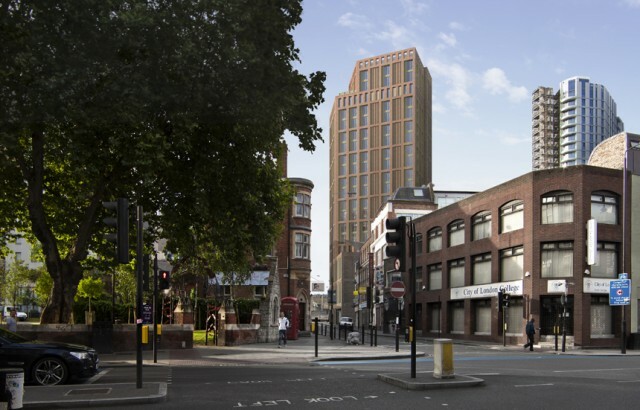 The project, located on the city fringe in Whitechapel, involves the redevelopment of commercial space to provide a 270 room, 25 storey hotel for German chain Motel One. The tower has a masonry base in keeping with the local street context, with a bronze and silver framed façade on the upper floors, which will offer panoramic views over London.